I think you have to tell Santa, (hubby) that you need that precious book for Christmas. It is more than just a story to you. A hard copy would be great for your shelf but the Kindle would be kinder to you right now. You have a beautiful way with words Linda. Keep writing, I enjoy coming here so much. Between having 12 for dinner Thursday night, (our small group) and doing the dinner for Celebrate Recovery at our church last night, (we had to step in because the leaders are in Arizona to be with their Dad in his last days) and my being under the weather...not much blogging or just cruising the internet has happened. I know my brain is on cold meds and this is what develops. Oh my, where did all that come from? Think I will close and wish you a very blessed Thanksgiving. 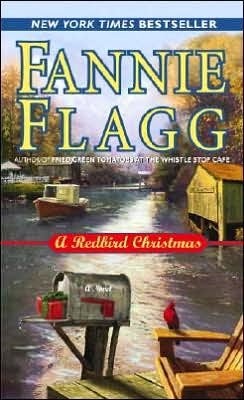 Fannie flag is really a good writer, I don't know if she is still alive? Yep,Ginny, Flagg is still kicking and publishing! i just heard a doctor talking on talk show today that said we should all have favorite books that we keep and read again and then again. he said it is healthy. getting it for the kindle is great. i love to read books that bring back my memories to. This sounds like a book I would enjoy. I loved hearing a bit about your days of living on a riverboat. You will have to tell us more. She is one of my favorite writers. She has a new one just out. "The All-Girl Filling Station's Last Reunion"
Sounds like you could write your own Flagg type book. What a wealth of experiences you have to draw from. I haven't heard of this book, but it sounds like something I might enjoy. In case I don't get back over here again before, have a Happy Thanksgiving!